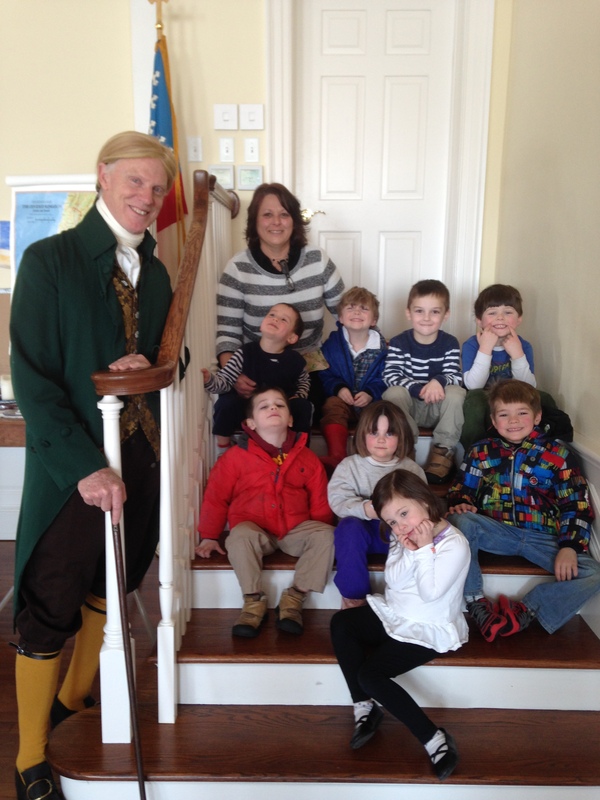 We celebrated Presidents Day with a special guest. During snack time, we read a book about Thomas Jefferson and by the end of our snack who should appear but President Thomas Jefferson himself! Tom Pitz is a member of St. Thomas Episcopal Church and St. Thomas Community Preschool Board. He has been performing historical reenactments of Mr. Thomas Jefferson for over 25 years. What a treat to have him come see as at St. Thomas! The students were enamored with all of his stories, especially the stories about his childhood. 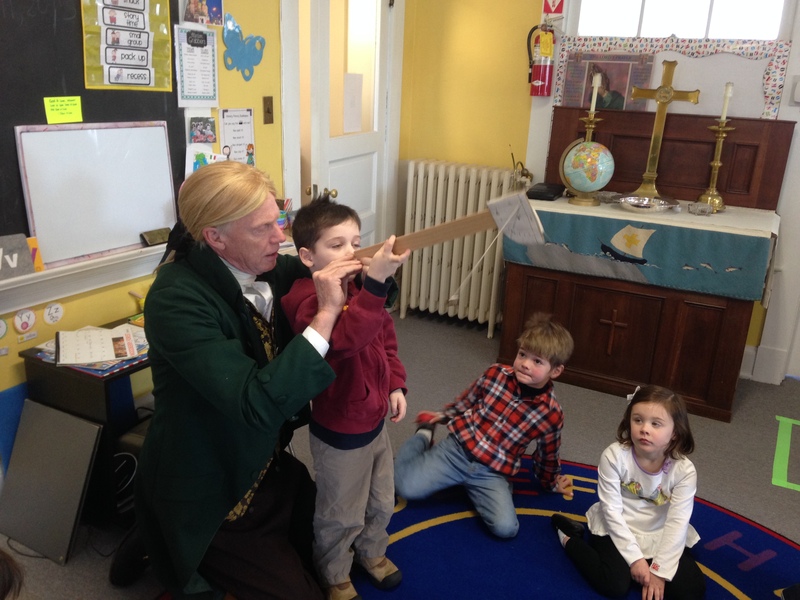 Mr. Jefferson demonstrated how to measure latitude on the globe with a sextant. 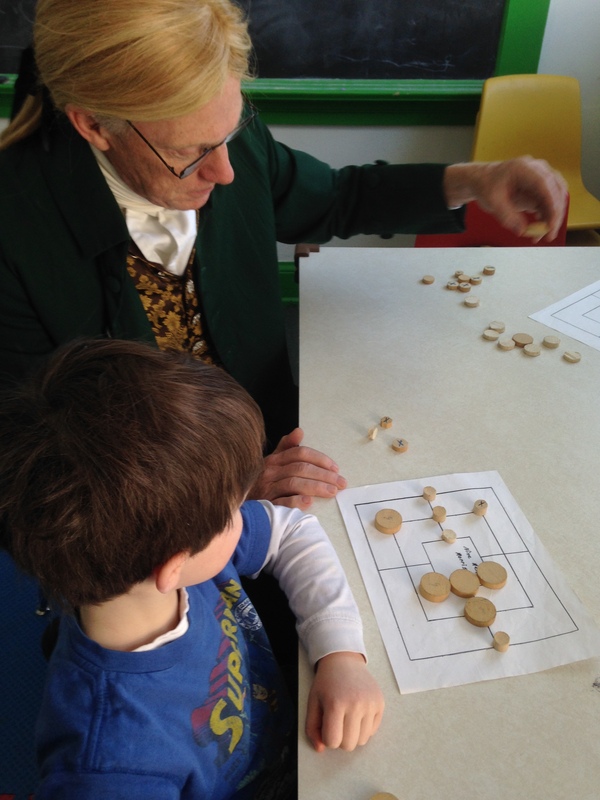 The children learned to play two period “board games” – Fox and Hounds and Nine Man Morris. In another room, the children enjoyed playing a kind of bowling game called Skittles. It isn’t every day that you get to meet a president! What a great day!